It is believed that wine gets better with time. 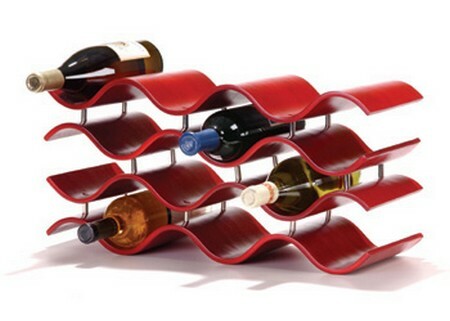 For this reason, a wine rack is an essential commodity for a wine connoisseur. It provides him a safe place to stack all his bottles of wine and leave them as such to age. Building a wine rack is a simple project that takes no more than 3-hours provided the requisite materials and tools are available. 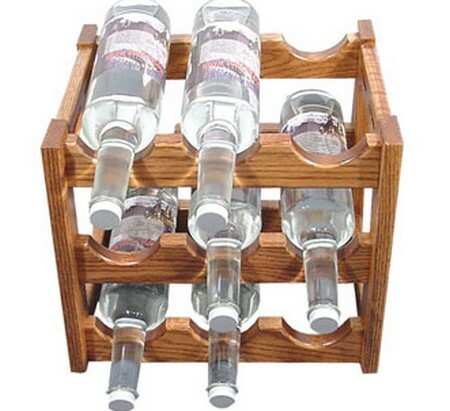 Here is a stepwise procedure to build a wooden wine rack. The first thing that should be done is to select a design. The design should not only be simple and elegant, but it should also be compact, modular and expandable. Any kind of wood can be chosen for the project like cedar, pine or cherry. In the next step, cut several wood pieces of two dimensions viz. 6-inches wide and 12-inches long, and 3-inches wide and 24-inches long. The broader ones would serve as the end panels, while the narrower ones would form the cross rails that would hold the wine bottles in place. Once all the end panels and cross rails have been cut, its time to create the notches. Four notches should be craved in both the kinds of pieces. Each notch should be exactly one-inch from the end. Now, both the kinds of wood pieces have to be assembled. First, two cross rails should be kept parallel to one another. Over the notches of the cross rails, the notches of the end pieces should be fixed. This process should be continued until all the pieces have been put together. The bottom most cross rails shouldn’t have notches on their outer surface. The notches on the outer side of the upper most cross rail make the rack expandable. To make sure that the bottle don’t fall off the wine rack, grooves have to be carved on the narrower pieces of wood. On one side, the furrow should be smaller to accommodate the neck of the wine bottle, and the other groove should be slightly wider to be able to lodge in the base of the bottle. The last step is to give the wine rack finishing touches. After properly sanding the rack, it should be stained. If cherry wood is used, then oil should be liberally applied. Wipe off the excess oil with the help of a dry and clean cloth. The application of oil will bring the natural beauty of the wood to the fore. The rack is now ready to hold the wine as well as champagne bottles.